Must-see hot events held in Fukuoka for August, 2017 brought to you by MagicalTrip staff. We highlight the best events for anyone visiting Fukuoka in August, 2017 and wondering what to do. Plan a trip around the various traditional events held in Fukuoka in August, 2017. 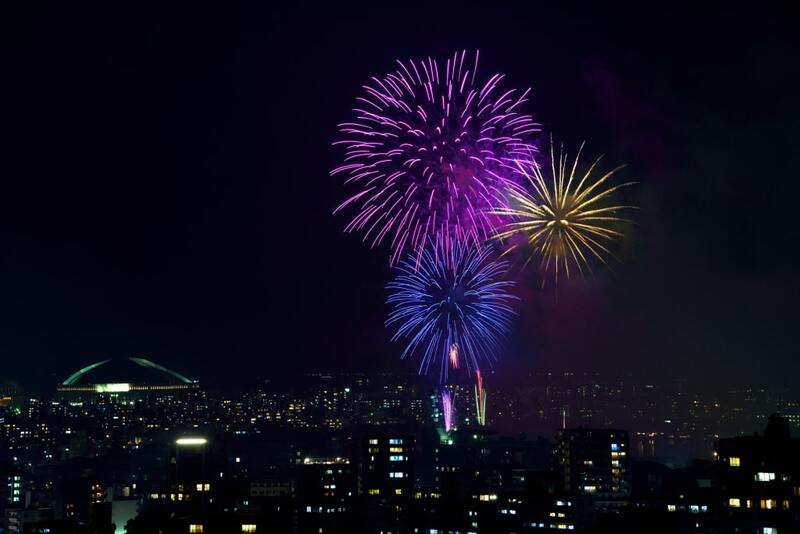 This event is mainly hosted by the local youth, and you can enjoy the 8000 fireworks launched in the sky along with sales of local special products, Japanese drums and dance, and music lives. Especially, the “Cho-Wide Starmine” is a must see. It is called the “Sky Niagara Yanagawa Special”, and it was updated the world record of 3517.23m, and is also certified by the Guiness World Records. Furthermore, you can enjoy BBQ while watching the fireworks, so we recommend for families and groups. The bleachers and the launching area is quite near, so you can enjoy the dynamic fireworks. The “Nishi-nippon Ohori Firework festival” is one of the typical events that represents the summer of Fukuoka, held in the Ohori Park. Because it is located in the Ohori park, you can enjoy the firework from 360 degrees around the park and there are many spectators every year. Although they can’t launch huge balls of fireworks, they use the No.4, rapid fireworks, gimmick gireworks and the Niagara of about 6000 shots. As the fireworks are launched from the lakes of the island, the reflection of the fireworks on the surface is also quite spectacular. In addition, there will be seats available for extra charges in the Heiwadai athletic stadium, so it will be safe for families with children or couples to relax. The distance to the launch site is also near, so you will be able to enjoy the dynamic fireworks. This is a historical firework festival that continues from 1992. The gimmick fireworks are the largest in scale in the West Japan, and while there are lots of stalls in the venue, you can see the fireworks being launched in the riverbed of the Toka River. The number of launches are about 6000. Amongs them, you can enjo the large scaled gimmick fireworks such as a Niagara, which is about 400m in total length. Also, there is an auto racing place, so there will be performances between the launches. There will be fireworks in shapes of riers, and also performances by people with fireworks on their bikes. The creative fireworks stimulate both adults and children. Mojiko has the world’s only Myanmar temple “World Peace Pagoda” for the purpose of praying for world peace and the memorial to soldiers who fought during the Second World War. The “Mojiko Retro Water Festival” which arranges the festival which is carrried out by praying for harvest and health invarious countries in Southeast Asia, incorporating Mojiko style is popular amongs children using water guns, etc. Simple changing rooms are also provided so feel free to join in. You can also bring water guns and play with water sliders, pools and bubbles. 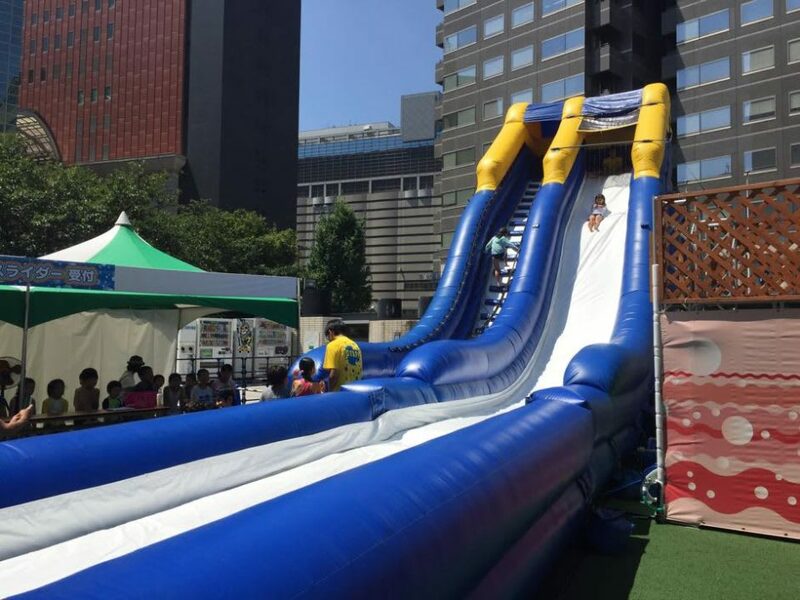 It is held at Mojiko Retro Central Plaza and it is free of charge, so why not make your summer memoriable here? Kitakyuushu’s largest summer festical is held around the Ogura castle for two days. Starting from the opening speech on the first day, in addition to “Wasshori local gourmet and beer garden” in addition to 大里電照山笠, Ogura Gion Daiko and Kitakyushu’s yamakasa, dashi and mikoshi will compete. 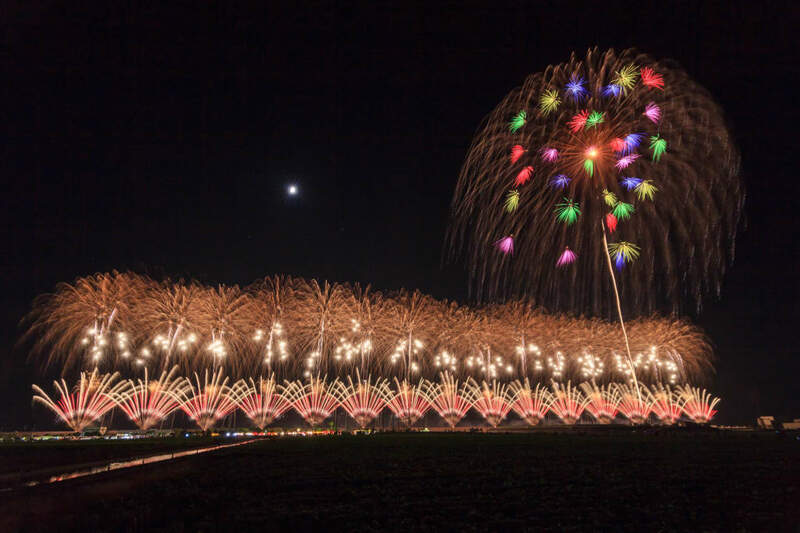 On the second day, there will be a “Hyakuman Odori” performed by about ten thousand locals, “Fireworks Light Down Ceremony” that addresses ecological consideration, and fireworks featuring sounds and lasers. 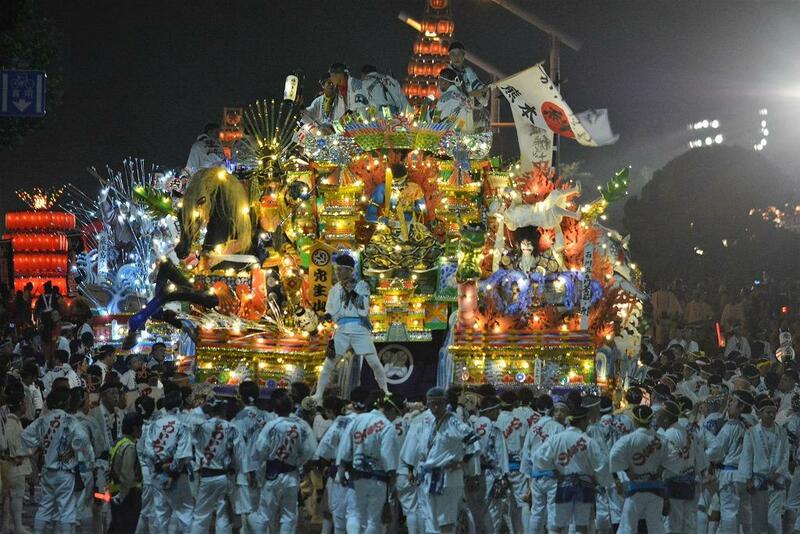 You can see the festivals that represent Kitakyushu at one, and the dynamic, professional “Yosakoi” is a must-see. 【Paid seat】 Bleacher: 1,800 yen per person (500 seats). “Fukuoka Asian Art Museum” is the only art museum in the world that collects and displays contemporary art items from 22 Asian countries regardless of genre. In addition, in recent years as a cultrual project for the children during summer vacation, “Oideyo! 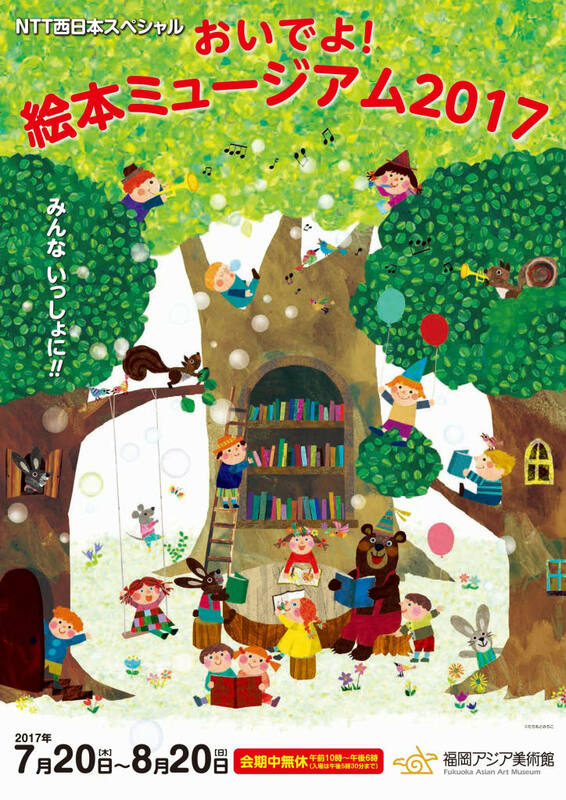 Picture book Museum” is held with exhibitions and workshop where parents and children can experience the world view of picture books and stories. Especially, there are lots of hands-on events by authors and announcers that infants and elementary school students can participate as well. The Exhibition of digital contents using the latest technology is also popular. The greatest unique point is the fact that it will stimulate your creativity by not only viewing but developing ideas through the world of the picture books. General 1,000 yen (800 yen), high school students 700 yen (500 yen), elementary and junior high school students 500 yen (300 yen), free for younger children. Since its first appearance in 1981, it is a historical ice show that has continued for 30 years. In the past, there were performances of masterpieces such as “Aladdin” and “Beauty and the Beast”, and in 2016 they performed a full story of the “Frozen” with number 1 audience mobilizer. Every time there will be special projects, and this year there will be a special greeting by Mickey Mouse at the entrance in front of the venue. It is hard to meet with Mickey at Disney Resorts, so this is a must-see event. Also, if you dress up as Disney characters, you will have the privilage to recieve presents. 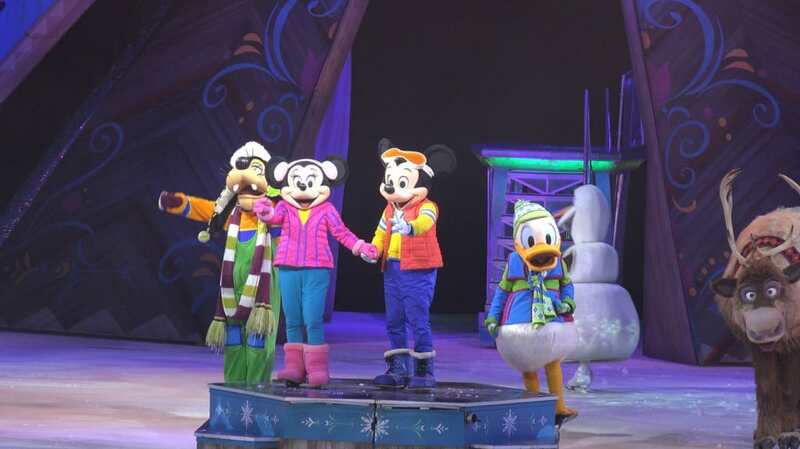 You can enjoy the show dressed up as Disney characters with your friends and families.